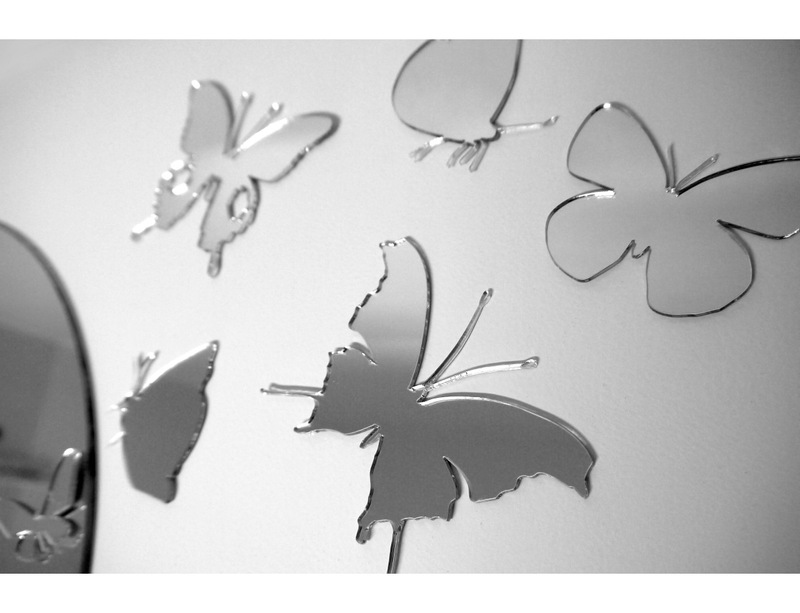 Combined mirror with butterflies decoration. 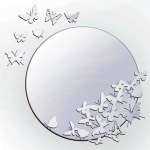 The center of the mirror is made from a circular glass mirror. 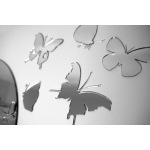 Decoration is carved from acrylic mirror and can be positioned on the wall around. 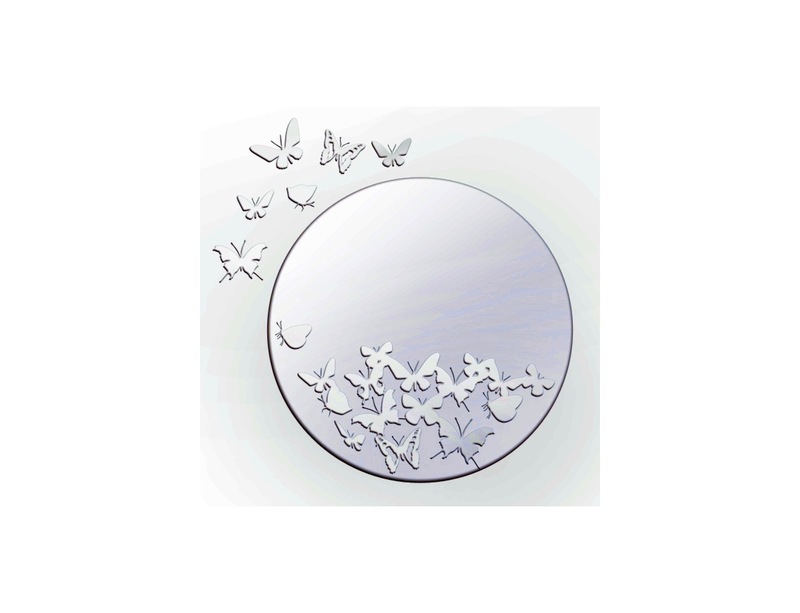 This mirror is very suitable for bathrooms, bedrooms and children's rooms. 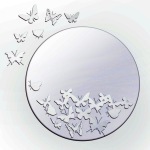 Mirrors supplied by us are made from high quality materials. 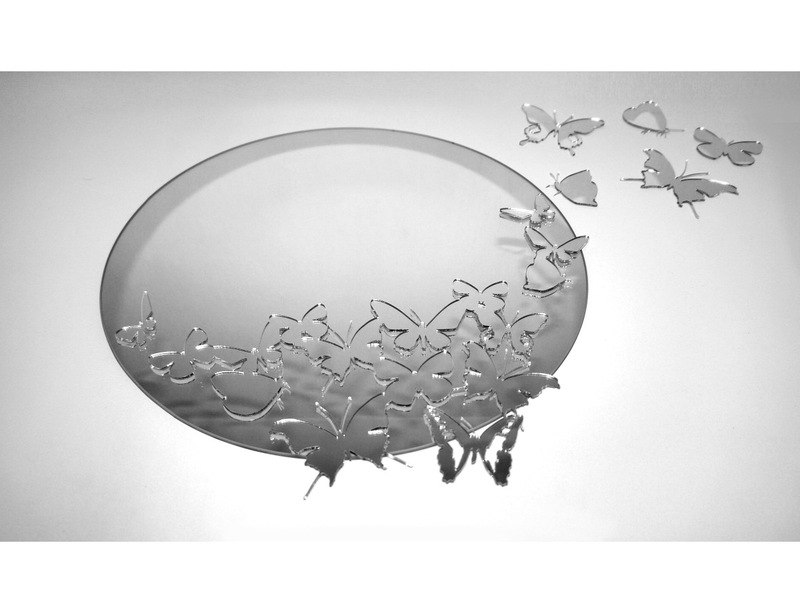 Primary mirror is high quality glass mirror and acrylic decorative accessories are very precisely cut. Decorations are glued to the mirror by strong adhesive and to the wall by using double-sided adhesive tape. 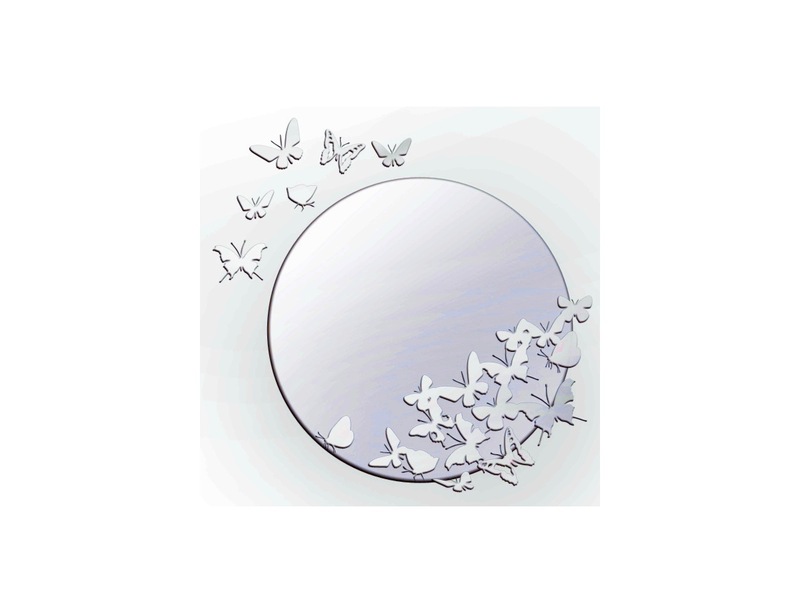 Mirrors are supplied disassembled and it is necessary to assemble them before installation. We supply all necessary mounting hardware. On request it is possible to design custom mirrors. Contact us and describe your idea or send us your selected image and we will prepare a specific quote.